Kanye Omari West (/ˈkɑːnjeɪ/; born June 8, 1977) is an American recording artist, songwriter, record producer, fashion designer, and founder of the record label GOOD Music and creative content company DONDA. Raised inChicago, West first became known as a producer for Roc-A-Fella Records in the early 2000s, producing hit singles for musical artists such as Jay-Z andAlicia Keys before pursing a solo career as a rapper. He has gone on to become one of the most successful and acclaimed musicians of the 21st century, and has attracted both praise and controversy for his outspoken public persona. West released his debut album The College Dropout in 2004 to widespread commercial and critical acclaim, and would go on to explore a variety of different styles and musical genres on subsequent albums that include the baroque-inspired Late Registration (2005), the electronic-tinged Graduation(2007), and the starkly emotive 808s & Heartbreak (2008). With his increasing commercial success, West also became a frequent source of controversy as a result of his outspoken public appearances, including his assertion thatPresident George W. Bush "doesn't care about black people" during a live 2005 television broadcast for Hurricane Katrina relief, and his interruption of singer Taylor Swift at the 2009 MTV Video Music Awards. 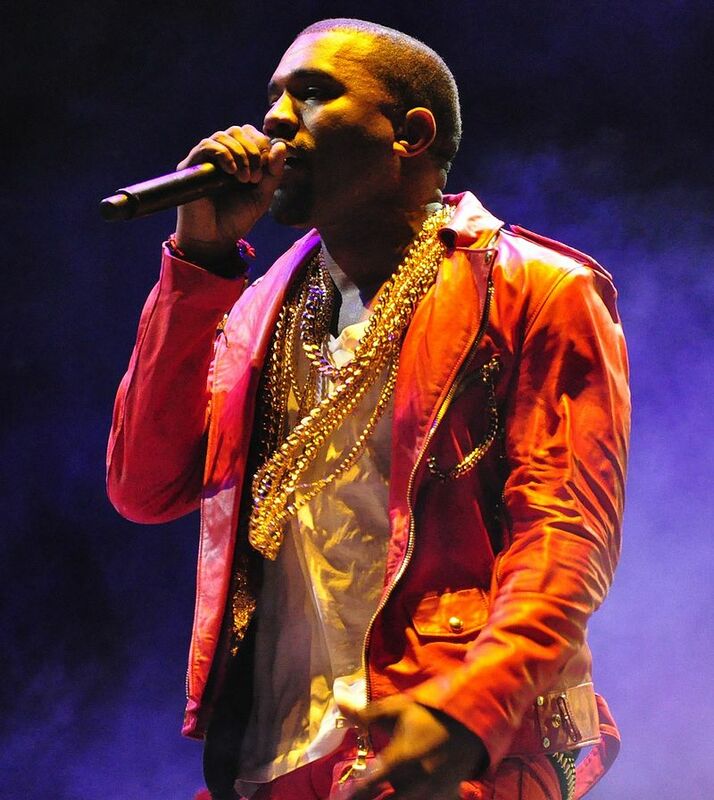 In 2010, West released the critically acclaimed My Beautiful Dark Twisted Fantasy, and in 2011 he collaborated with Jay-Z on Watch the Throne and pursued several projects surrounding his GOOD Music label. In 2013, he released his abrasive sixth album, Yeezus, and the following year he married American television personality Kim Kardashian. Over the course of his career, West has also collaborated with a range of figures in fashion and the visual arts. His work as a designer includes multiple collaborations with brands such Nike, Louis Vuitton, A.P.C., and Adidas, and has most recently resulted in the Yeezy Season clothing lines. West is one of the best-selling artists of all time, having sold more than 21 million albums and 100 million digital downloads. He has won a total of 21 Grammy Awards, making him one of the most awarded artists of all time and the most Grammy-awarded artist of his age. Time named West one of the100 most influential people in the world in 2005 and 2015. He has also been included in a number of Forbes annual lists. Three of his albums rank onRolling Stone's 2012 "500 Greatest Albums of All Time" list; two of his albums feature at #1 and #8 in Pitchfork Media's The 100 Best Albums of 2010–2014. 2.All Of The Lights Featuring Rihanna, Kid Cudi, Elton John, Alicia Keys, The Dream, John Legend etc.